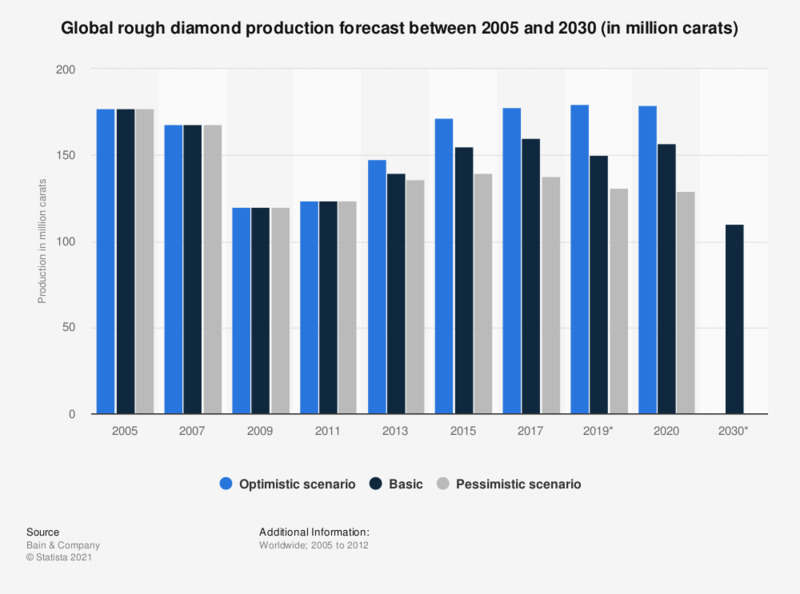 This statistic displays three different forecast scenarios for the global rough diamond production between 2005 and 2030. Pessimistic estimates forecast that global diamond production will total around 138 million carats in 2017. * Only figures for 2019 and 2030 in the basic scenario were provided in the 2016 edition of the report. All other figures presented in this statistic are from the 2012 edition of the report. Figures for 2005 to 2011 are actual figures.